An organization’s capacity for fully successful change is strongly determined by the productive wellbeing of its staff and teams. 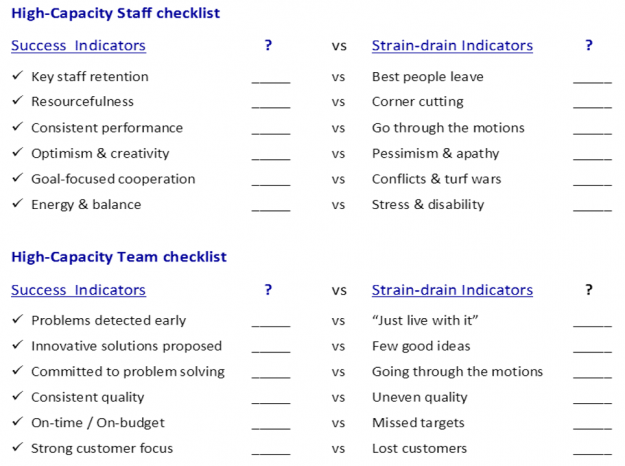 We invite you to form a quick snapshot of your organization’s capacity guided by the following three checklists. They see their current change-challenge as an opportunity to “learn and build on the lessons from past changes” … to strengthen corporate capacity as a future-looking resource. 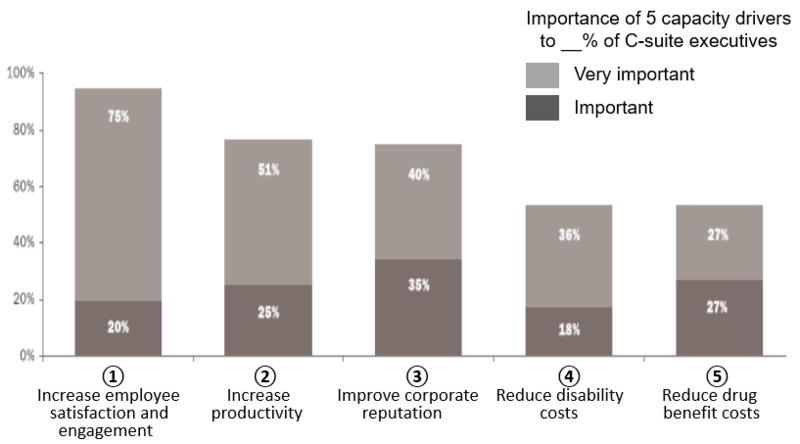 The “importance” ratings they assign to each capacity-driver [below] reinforce the importance of close aligning employee, on-the-job, and management’s targets for sustainable productive wellbeing. ⊕ At the Institute, we focus on growing capacity on all three checklists’ indicators.